Its melting gel, silicon-free texture, respects your hair needs for use on a daily basis without weighing it down. Its fragrance which is combined with green fresh notes provides a feeling of well-being. I’ll be honest, the bright green packaging is what caught my eye (apparently I have a penchant for greens) because it strongly reminded me of a long-discontinued favorite of mine (Herbal Essences Drama Clean Shampoo) seeing as how they both had vivid green packaging that housed transparant green liquid inside. Moving on, let’s all just take a moment to appreciate the cuteness of the little leaf (Verbena Leaf?) on the flip-top cap. It’s very reminiscent of the iconic packaging of yet another favorite of mine (love the entire range), L’Occitane Verveine (reviewed here). 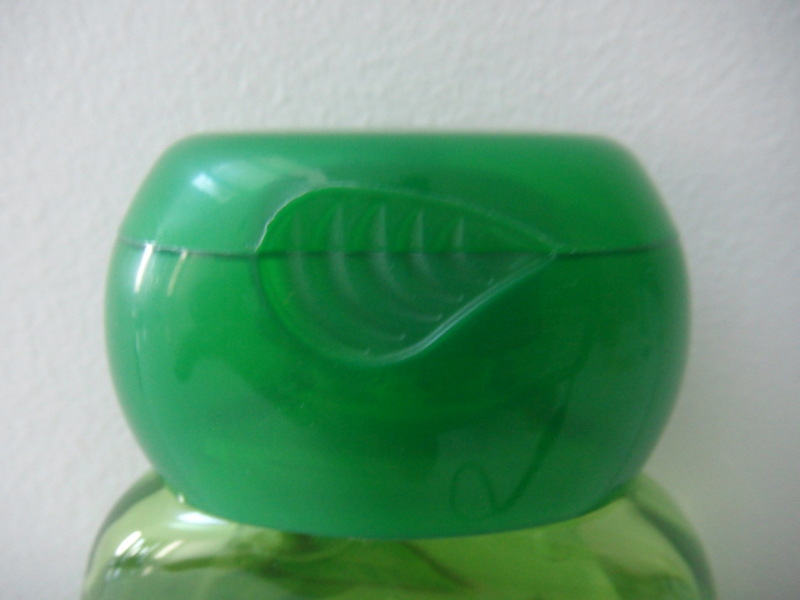 I see you, Garnier, I see you. I flipped over to the back to read what it said, only to find out that the Vitalizing Shampoo contained Lemon, Green Tea, Eucalyptus, Nettle and Verveine which automatically made me assume that this stuff would smell amazing! I mean I’m not exactly sure what Nettle is supposed to smell like but the rest are all classic faves on their own (who doesn’t love a good lemon scent? you monster)! Unsurprisingly, both Herbal Essences Drama Clean Shampoo and Garnier Ultra Doux 5 Plants Vitilizing Shampoo contain some form of Green Tea. My mind was set on purchasing this stuff as soon as I noticed Verveine (seriously love that scent) as one of the five plants, listed on the back. However, Once I gave this the ol’ sniff test in-store, I was instantly smitten! It smelled fresh, zesty, and uplifting! Think along the lines of Dolce & Gabbana Light Blue (reviewed here) or L’Occitane Verveine (reviewed here), or more recently Lierac Purifying Cleanser (reviewed here). If you enjoyed any of those scents, you’ll definitely enjoy this! I wanted to try out a different shampoo than the one I was already using and this stuff looked appealing and smelled amazing, which is why I got it. However, with use, I discovered that it was an excellent deep cleansing shampoo (I’m all about that life) as well! If you use any kind of hair treatments (ranging from oils to masques) or even just hair styling products (dry shampoo, hair spray, serums, and the like) it goes within reason to assume that they’d form some sort of build-up. 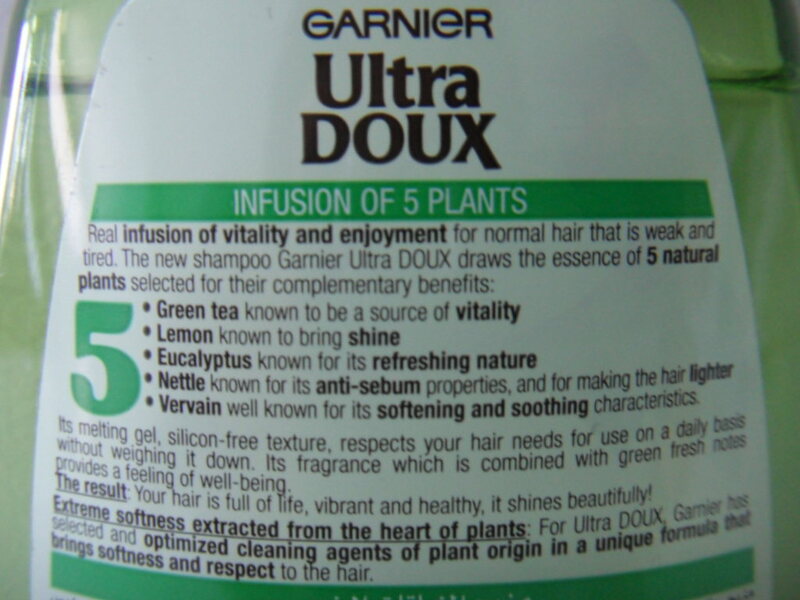 Garnier Ultra Doux 5 Plants Vitalizing Shampoo (could the name be any longer?) gets rid of all of that and then some. I will always adore Lush Big Shampoo (reviewed here) and Boots Expert Build Up Removal Shampoo (reviewed here), but this stuff completely blows those other two out of the water, in the product build-up removal aspect! Plus, as an added bonus, this also gave my scalp that delightful, cooling (almost minty), tingling sensation which I absolutely adore! Decent packaging, uplifting fresh scent, some deep cleansing action and a cooling sensation to boot. How can I not love this stuff? 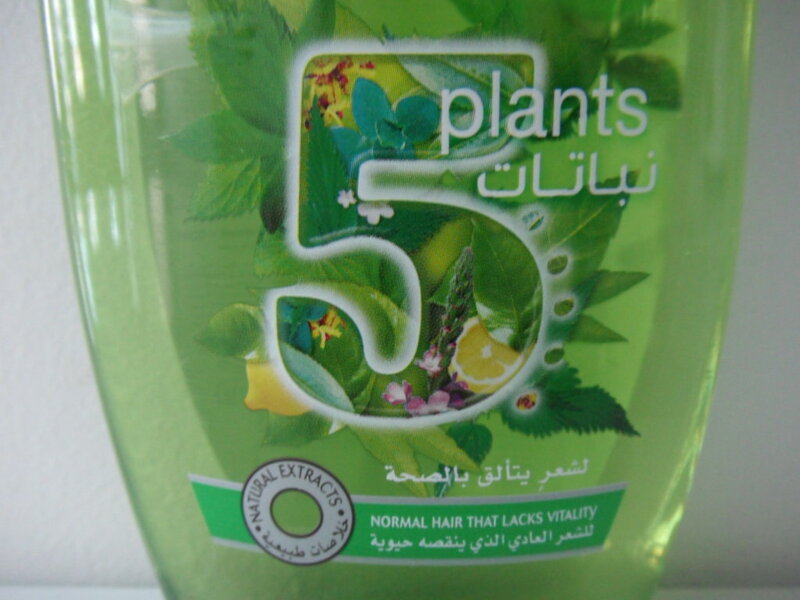 You can find the budget-friendly Garnier Ultra Doux 5 Plants Vitalizing Shampoo (and conditioner) literally everywhere.